On days when I go to the mall and that I have to at least buy something, I almost always get a new nail polish even though I still have a lot of new and unopened bottles. After walking around Siam Paragon and browsing the shops, I went to Skinfood and grabbed a few bottles of nail polishes and the Gunnpang Nail is one of them (when I got home I realised I already have a similar hot pink but the old one was not in matte). The bottle bears a Skinfood sticker/ seal to prove authenticity. First Impressions: It is small and cutely packaged, bottled in a clear matte glass. It bears the Skinfood sticker so the product is genuine. 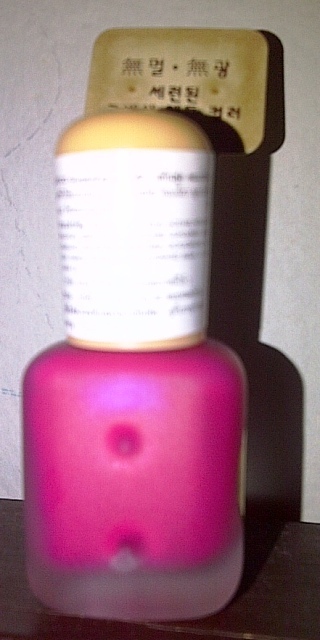 The label is written in Korean except for the nail polish’s name. There is also a sticker in Thai language (since I cannot read Thai, I’m not sure what it was. It might be details about the product, too). 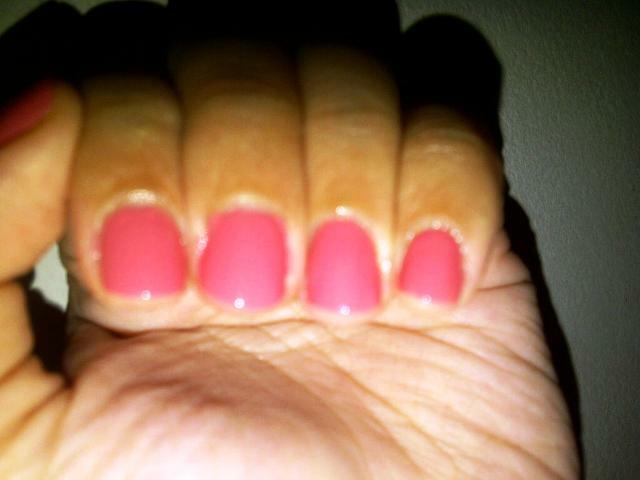 Consistency: It is thick, creamy and dries fast because it’s a matte nail polish. 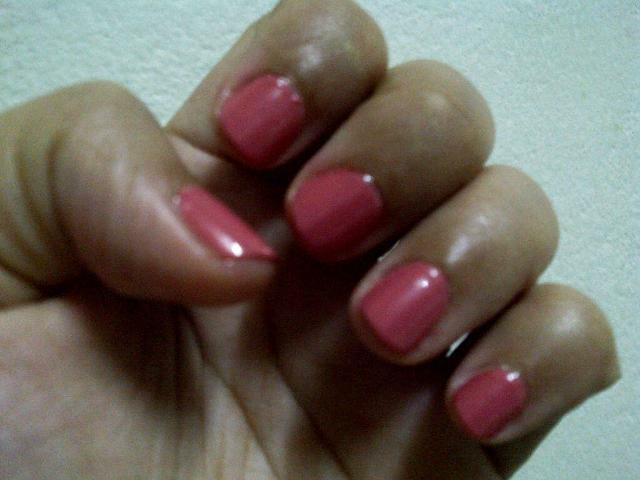 It tends to be streaky and messy to apply (or maybe it’s just me) but applying a matte top coat smoothens it out. 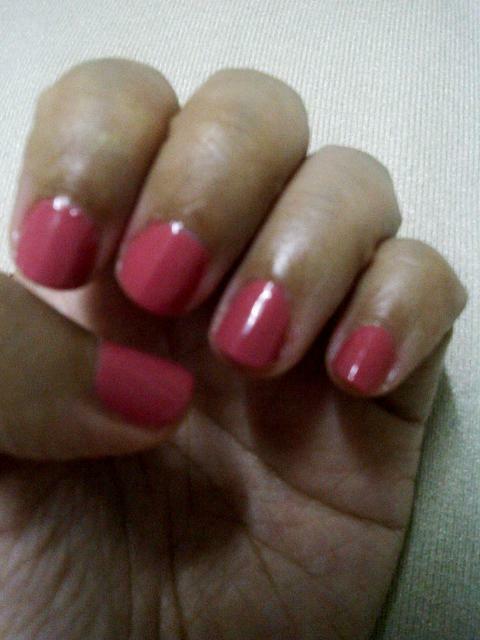 One coat is enough but I applied two layers and a matte top coat from the same brand. 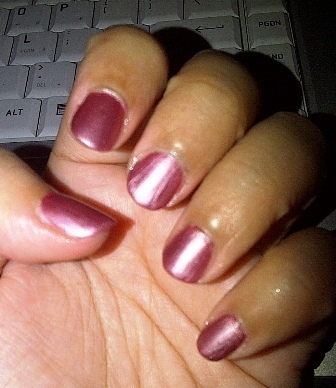 There was a little shine to the nails when I applied the top coat, which is alright with me. Availability: There are a lot of Skinfood shops in Bangkok alone. There might be other Skinfood branches in other parts of Thailand. Will I purchase again? : I already got another bottle in matte brown. I just applied hand cream in this picture so my nails don’t look too matte. What do you think, do they look matte to you? Are you a fan of matte nail polishes? Care to share? 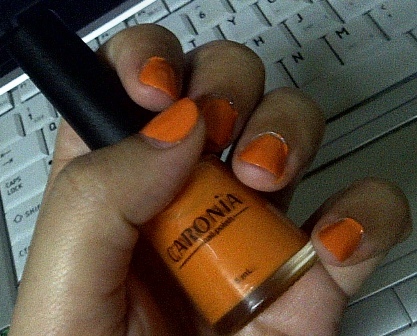 Some nail polishes last me more than 3 days and on days when I easily get bored with my nail colour yet lazy with doing the whole nine yards of cleaning my nails and changing the nail polish, I just think of ways to change the look of my nail polish. Read the entries for No. 1 here and No. 2 here. Number Three: I crack ’em! 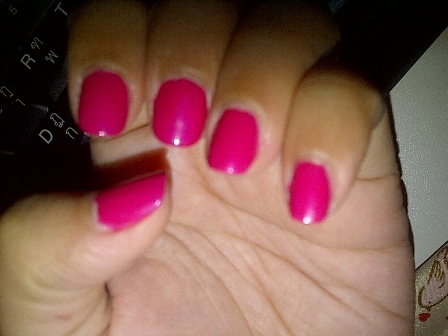 To give your two or three day old nail polish a new look, why not apply a crack nail polish to achieve a different look. 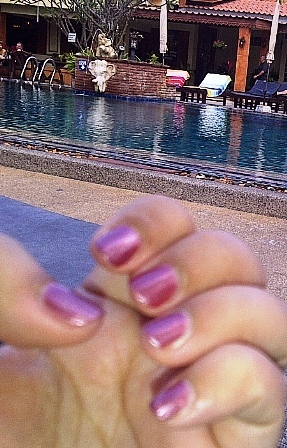 Crack nail polishes come in handy on those lazy days. 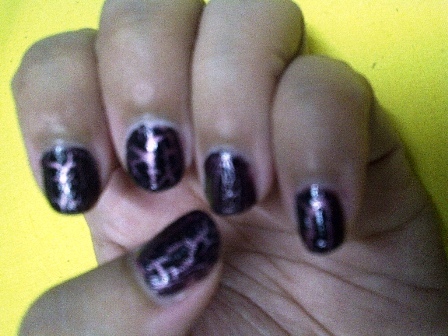 The effect doesn’t look as neat as you want it to be, but that’s the essence of it, to make it look “cracked”. I have already created a separate entry when I tried using my The Face Shop Crack Collection BR801 and you can read about it here. How do you like crack nail polishes? Do you like the cracking effect? 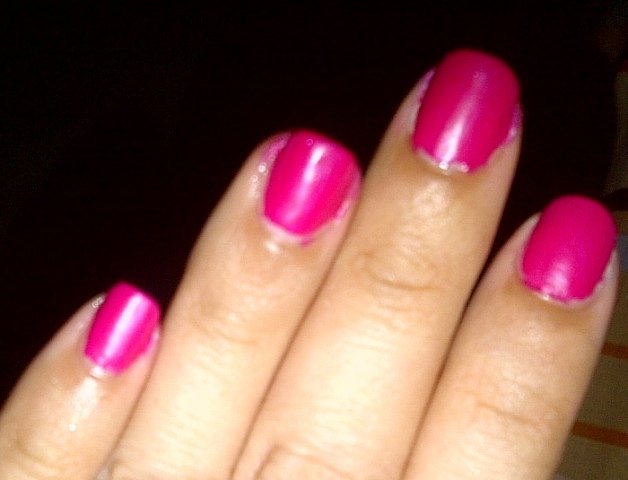 Some nail polishes last me more than 3 days and on days when I easily get bored with my nail colour yet lazy with doing the whole nine yards of cleaning my nails and changing the nail polish, I just think of ways to change the look of my nail polish. (Check my first post here). 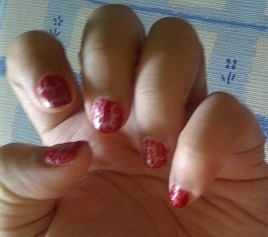 Number 2: I use nail stickers. 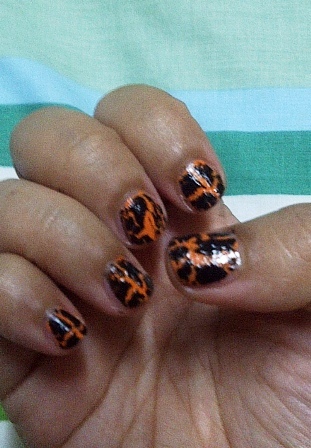 Nail stickers give a whole new look to plain nail polish. It is not only affordable but it is very easy to use, too. 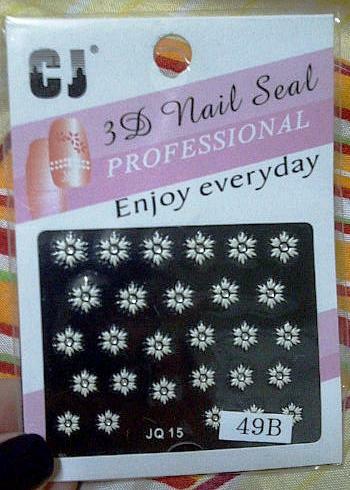 Nail stickers come in a wide range of imaginable designs. 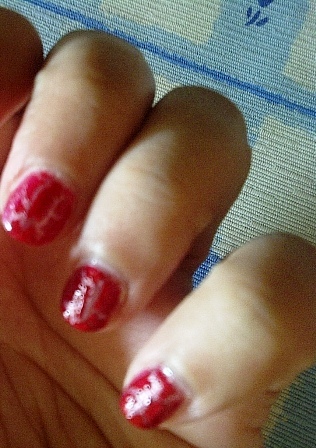 My The Face Shop nail polish usually lasts me more than five days, so on the third day when I am bored looking at the same colour, I use nail stickers for a change. I just put the sticker on my nails in any way and number I want. 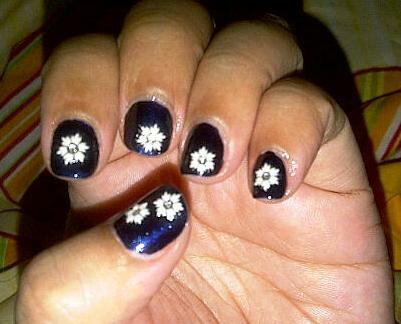 There is no rule as to how you should put the stickers, so use your creativity when styling your nails. 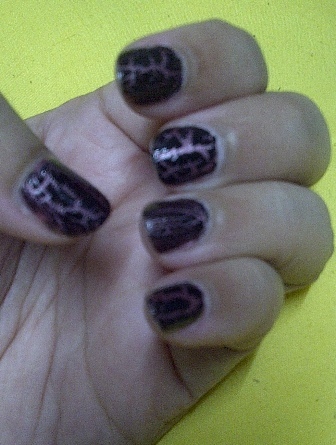 So, that’s how I styled my nails. 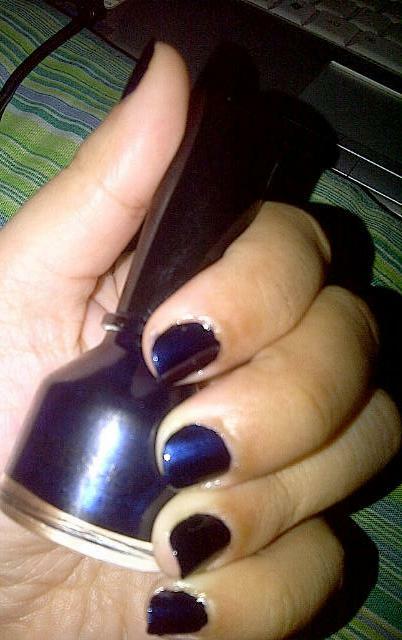 Don’t forget to put a top coat on top (where else, right? ;)) of the stickers to make them last longer. Have you tried nail stickers, too? Care to share? I love Nature Republic’s Color Waltz BL503. I bought this quite awhile back but I wasn’t too keen to use it because I thought it’s too “white”. 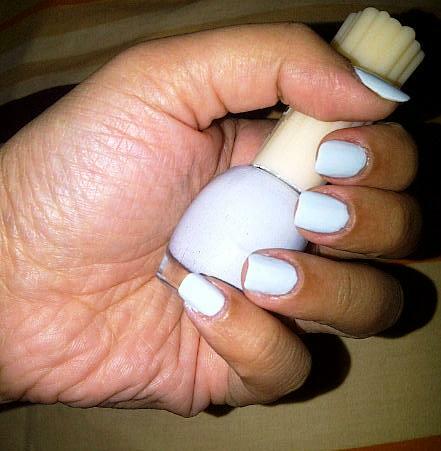 But, no… it may seem pale or bordering on beige-y looking at the bottle but it turned out a nice light blue on my nails. 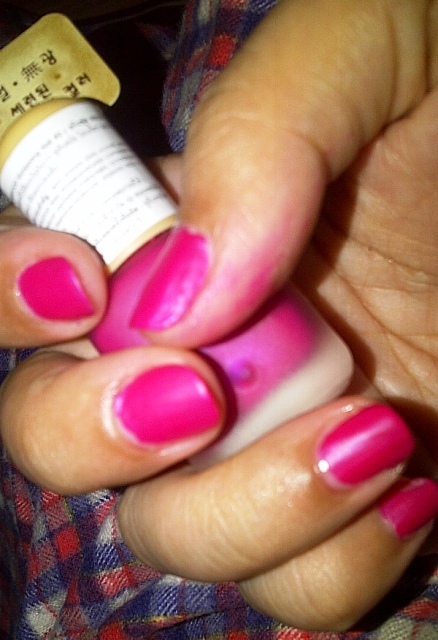 The nail polish wasn’t that thick and creamy so it was a breeze applying it. I had to put three layers, though or it may look sheer.